It’s the Avengers, the New Warriors, the X-Men and more against the omnipotent Eternal, Thanos! 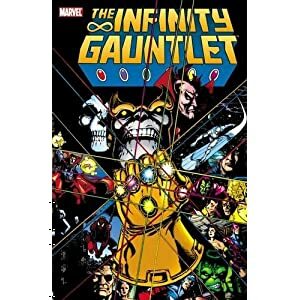 The Mad Titan has become the most powerful being in the universe, and enslavement or destruction may be the only choices he gives it! The successive Starlin sagas that shook space and time start here! Height: 10.30 in. Width: 6.80 in.